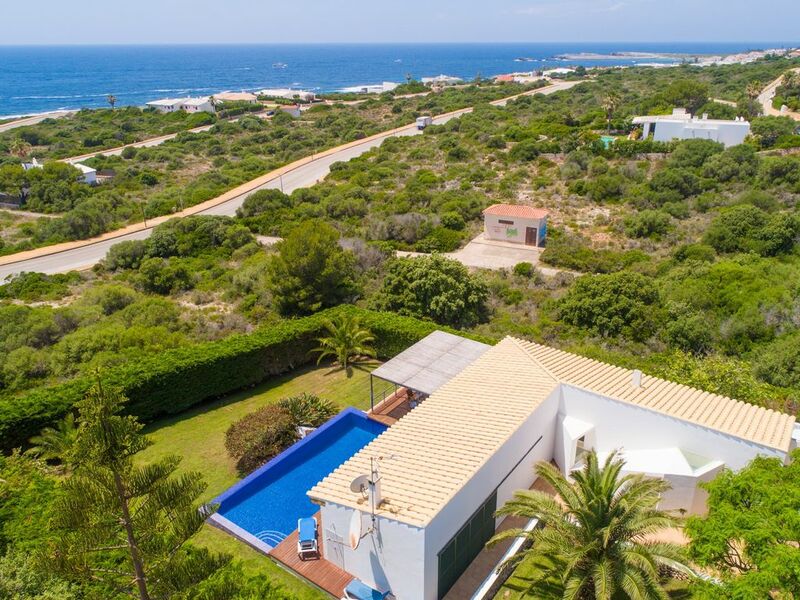 Villa Iris Torret se encuentra en Biniancolla, Menorca. Nuestra propiedad de alquiler de vacaciones tiene capacidad para 6 personas. Villa Iris Torret tiene 3 habitaciones con aire acondicionado. La Villa puede alojar hasta 6 personas. Distribución: Salón, cocina, 3 dormitorios, 4 baños y piscina privada. Características adicionales de la piscina: área de comedor junto a la piscina, tumbonas y vistas al mar. También hay una barbacoa. Disfrute: Bar / Taverna a una distancia asombrosa! Aire acondicionado: ¡dormirá por la noche! WiFi GRATIS: ¡mantente conectado mientras estás de vacaciones! Villa Iris is in a beautiful location with views of the sea. It is within walking distance of restaurants in Binibeca, Biniancolla and Punta Prima. The villa is well equipped and has 3 good sized bedrooms all with en-suite. We had a lovely time at villa iris and would happily stay here again. We were very pleased to receive fresh towels and bed changes. There’s plenty of outdoor space which is brilliantly covered for those of us who can’t sit in the sun for too long. Air conditioning in the bedrooms was also most welcome and it would be even better if that was installed in the lounge area, this would have kept the flies and mosquitoes at bay. Many thanks.